The ACLO Buddy Program will start again! New year, new me. A good reason to start sporting more often. Can you use some motivation? Sign up for the buddy-program! With the buddy-program you are coupled to another person. In this way you always have someone to sport with, you can motivate and learn from each other. Both if you can use some motivation and if you like to motivate someone else you can sign up for the buddy program. So don’t wait any longer and give result to your good intentions! 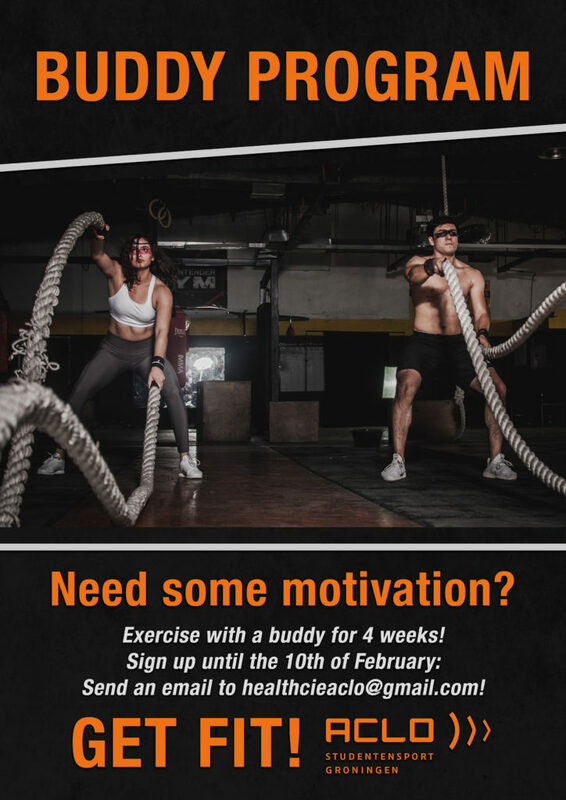 You can sign up by sending an email to healthcieaclo@gmail.com before the 11th of February.